On the 31st (Sat), see exotic creatures in open habitats at a safari tour, then take in the awesome beauty at Luosto, and then identify plant and animal life at Kopara Reindeer Park. Keep things going the next day: explore the striking landscape of Pyha-Luosto National Park. To see maps, where to stay, photos, and tourist information, refer to the Pyhatunturi trip itinerary site . Edinburgh, UK to Pyhatunturi is an approximately 10.5-hour flight. You can also drive. The time zone changes from Greenwich Mean Time (GMT) to Eastern European Time (EET), which is usually a 2 hour difference. In August in Pyhatunturi, expect temperatures between 20°C during the day and 9°C at night. Finish up your sightseeing early on the 1st (Sun) so you can travel to Saariselka. 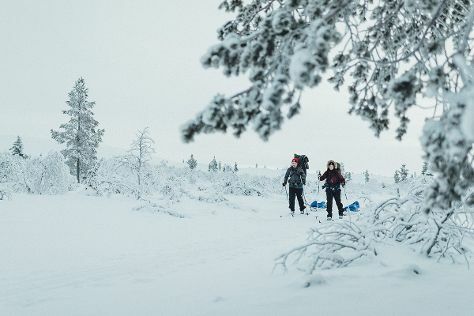 Discover out-of-the-way places like Urho Kekkonen National Park and Lake Inari. Take a break from the city and head to Nature & Wildlife Tours and Saariselka Ski & Sport Resort. Explore Saariselka's surroundings by going to Inari (Pielpajarvi Wilderness Church & Saint Tryphon Pechenga Orthodox Church). To find ratings and tourist information, go to the Saariselka trip itinerary app . Traveling by car from Pyhatunturi to Saariselka takes 2.5 hours. In September, daytime highs in Saariselka are 13°C, while nighttime lows are 4°C. Finish up your sightseeing early on the 4th (Wed) so you can go by car to Kittila. Kittilä is a municipality of Finland and a popular holiday resort.It is located in northern Finland north of the Arctic Circle within the Lapland region. Kick off your visit on the 5th (Thu): get outside with Scandinavian Adventures, then tour the pleasant surroundings at Konijanka Petting Zoo, and then head outdoors with Seven Fells Up. Here are some ideas for day two: make a trip to Giewont Husky Adventures, get interesting insight from Tours, then have some family-friendly fun at G2 Ice Karting Levi, and finally stop by Elan Ski Shop & Rental. To see traveler tips, photos, more things to do, and more tourist information, read Kittila vacation planning site . Drive from Saariselka to Kittila in 3 hours. Alternatively, you can take a bus; or take a bus. In September, daily temperatures in Kittila can reach 13°C, while at night they dip to 5°C. 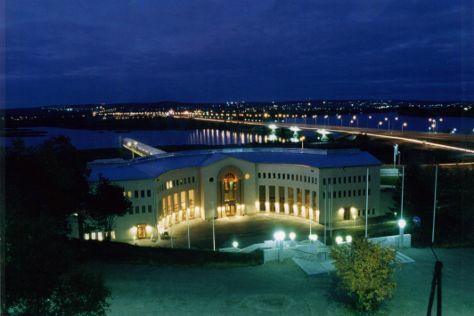 Finish your sightseeing early on the 6th (Fri) so you can drive to Rovaniemi. Start off your visit on the 7th (Sat): take in the dramatic scenery at Auttikongas, look for gifts at LAURI, and then experience the excitement of Feelapland. Get ready for a full day of sightseeing on the next day: snap pictures at Lumberjack's Candle Bridge, take an in-depth tour of Arktikum, explore the fascinating underground world of Syvasenvaara Fell, then see Santa Claus Office, and finally find something for the whole family at Santa Claus Village. Plan a trip to Rovaniemi easily and quickly by telling Inspirock to suggest an itinerary. Getting from Kittila to Rovaniemi by car takes about 2 hours. Other options: take a bus. In September, daily temperatures in Rovaniemi can reach 13°C, while at night they dip to 6°C. Wrap up your sightseeing on the 8th (Sun) to allow time to travel back home.